Biography: Stuart Galbraith IV is a Kyoto-based film historian, writer, and publisher-editor of World Cinema Paradise. He is the author of seven books, including The Emperor and the Wolf (Faber & Faber, 2002), the joint-biography of Akira Kurosawa and Toshiro Mifune hailed by Martin Scorsese as "a must read." Peter Biskind, in The New York Times Book Review, called it "a rare feast for lovers of Japanese cinema [and] a monumental job of research . . . infused throughout with an affection for its subjects that is contagious. Best of all, it does what all good film books should do: returns us, with an enriched appreciation, to the movies themselves." "One of the best industrial histories of Japanese cinema available in English," adds Catherine Russell of Cineaste. And Bill Kelley, in The Sarasota Herald Tribune, had this to say: "Not many film books deserve to have the adjective 'extraordinary' applied to them, but Stuart Galbraith's The Emperor and the Wolf is nothing less than that. In fact, it's more . . . this 823-page achievement wants to be all things to all admirers of its twin subjects, and, incredibly, it succeeds. Reference work, scrupulously thorough filmography, exhaustive biography - all are here . . . A graceful, economical writer, [Galbraith] is also a first-rate critic and film historian. [The Emperor and the Wolf] is a wonder of clarity and organization, and an enormous pleasure to read . . . [a] magnificent book." Galbraith's other books include Monsters Are Attacking Tokyo: The Incredible World of Japanese Fantasy Films (Feral House, 1998), The Japanese Filmography (McFarland & Co., 1996), Motor City Marquees (McFarland, 1994), and Japanese Science Fiction, Fantasy and Horror Films (McFarland, 1994). 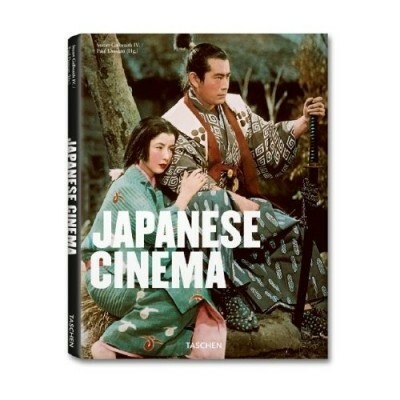 In 2007, Galbraith's The Toho Studios Story, was published by Scarecrow, while his latest, Japanese Cinema, has been published by Taschen and hit bookstore shelves in June 2009. From 2004-2009, Galbraith wrote a monthly column for Japan's Daily Yomiuri on Region 2/Japanese DVDs. Within the home video field, Galbraith has written essays for Criterion's three-disc Seven Samurai DVD and Blu-ray, Optimum's Rashomon, BCI Eclipse's The Quiet Duel and Subkultur's The Long Good Friday. He provided audio commentaries for AnimEigo's Musashi Miyamoto - The Ultimate Samurai and Tora-san, editing the accompanying booklet for the latter. A commentary recorded (with Steve Ryfle) for Godzilla vs. Megalon but suppressed and aborted due to legal problems became an instant collector's item. In 2011, he co-produced Message from Earth, a short documentary on the making of Kinji Fukasaku's Message from Space. In 2015, Galbraith recorded an audio commentary and wrote and produced a new short documentary, Rashomon at 65, for the British Film Institute's Blu-ray of Kurosawa's 1950 classic. Concurrently, he served as an consultant on Oscar-winning director Steven Okazaki's documentary feature, Mifune - Last Samurai (2015). Also in 2015 Galbraith wrote an essay for Arrow Video's The Happiness of the Katakuris and shot interview material for their Battles without Honor and Humanity boxed set. He was an associate producer for the DVDs of the classic poolroom drama The Hustler and Sidney Lumet's The Verdict. He provided audio commentary (with director Richard Fleischer) for the Special Edition DVD of Tora! Tora! Tora! (all for 20th Century-Fox), and interviewed Oscar-winning cinematographer Vilmos Zsigmond for his audio commentary track for The Sadist. Galbraith also contributed commentary tracks to The Horror of Hammer and Tales of Frankenstein, all for All Day Entertainment. Galbraith's audio commentary for Classic Media's Invasion of Astro-Monster was released in 2007 and nomiated for a Rondo Hatton Award. Holding a Master's Degree from the University of Southern California's prestigious School of Cinema-Television, Galbraith worked as an archivist and researcher at both Warner Bros. and M-G-M. At Warner Bros., Galbraith implemented preservation projects and procedures at both its USC-Warner Bros. Archives and the Warner Bros. Corporate Image Archives. At M-G-M, Galbraith worked as a "film detective," tracking down the original camera negatives to more than three dozen "lost" films. Born in 1965 in Detroit, Michigan, Galbraith was a film critic for the Ann Arbor News, a daily newspaper. In addition to writing film reviews and feature stories, Galbraith also wrote a weekly column, "Video View," which ran from 1990-1993. Between books, Galbraith wrote for such film magazines as Filmfax, Outre, and the French film magazine HK Orient Extreme Cinema. Since 2003 he has lived in Kyoto, Japan with his wife, Yukiyo, and their daughter, Sadie.